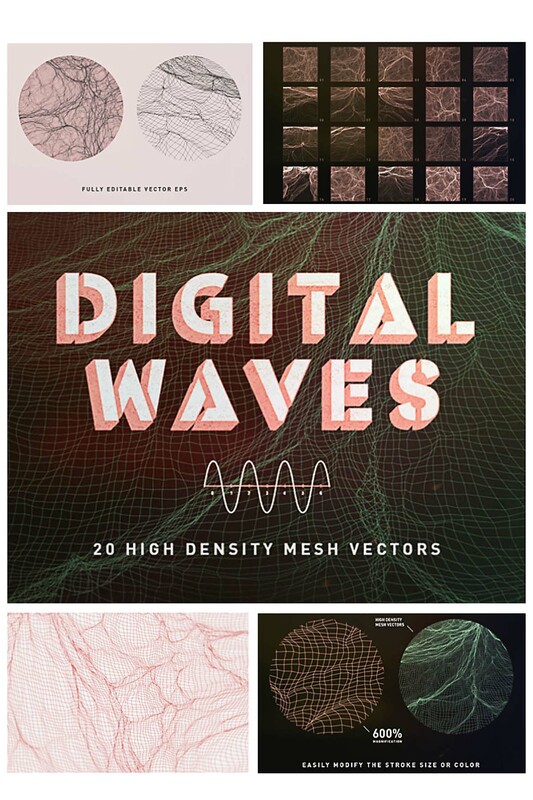 Set of 20 digital waves vector images for your personal illustrations and designs. All files are editable. File format: .eps, .png for Photoshop or other vector software. Tags: 3d, background, blueprint, digital, mesh, png, texture, vector, water, wave, wireframe.